Click on the links below to learn more about some of the other projects we are proud to support. 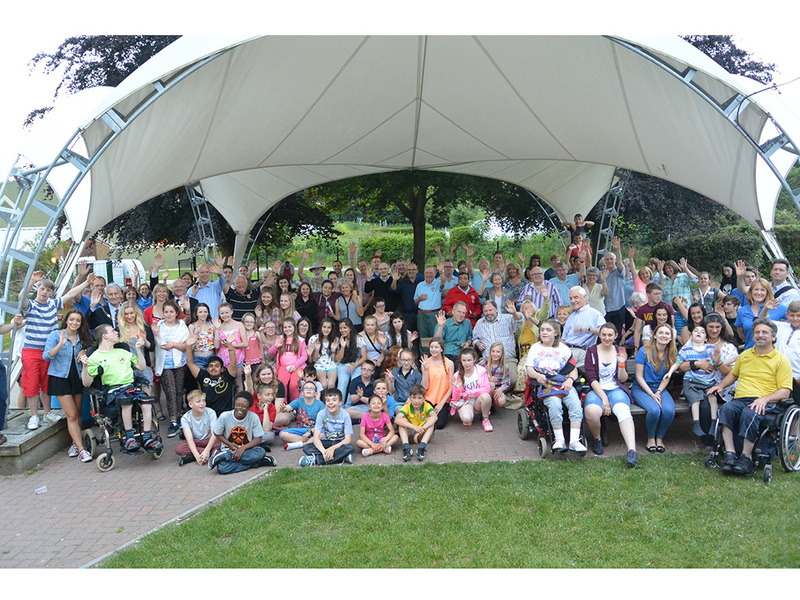 On club holidays they take part in rock climbing, abseiling, canoeing, dry slope skiing, caving and there is a lively programme of outings and events. 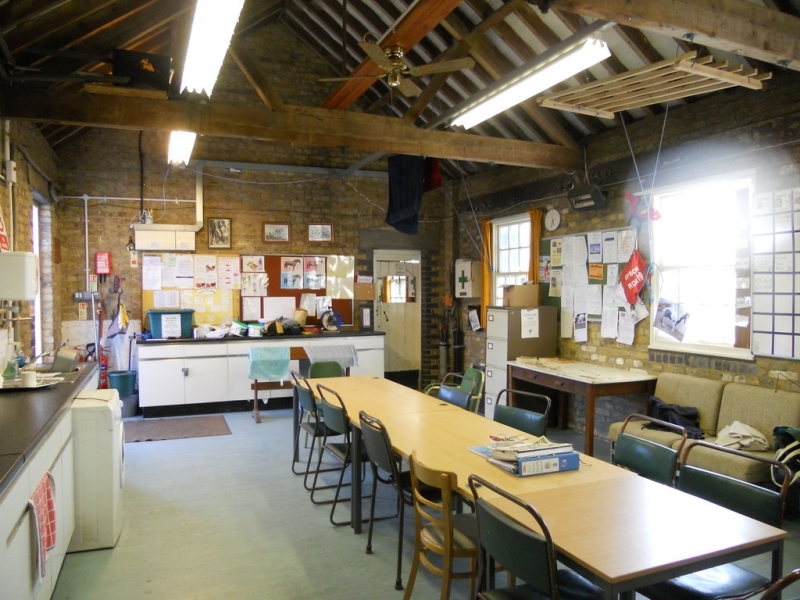 The club is run entirely by volunteers with a membership of around 120 young people. We support Sand Dams which are one of the best ways of establishing a sustainable water source in arid conditions. Excellent Development is a not for profit organisation that supports rural, dryland communities to work their way out of poverty with dignity. They work with local partners to support communities to build sand dams, which provide clean water for life and the opportunity to grow more food to eat, store and sell. Sand dams empower communities, putting their future firmly in their own hands. 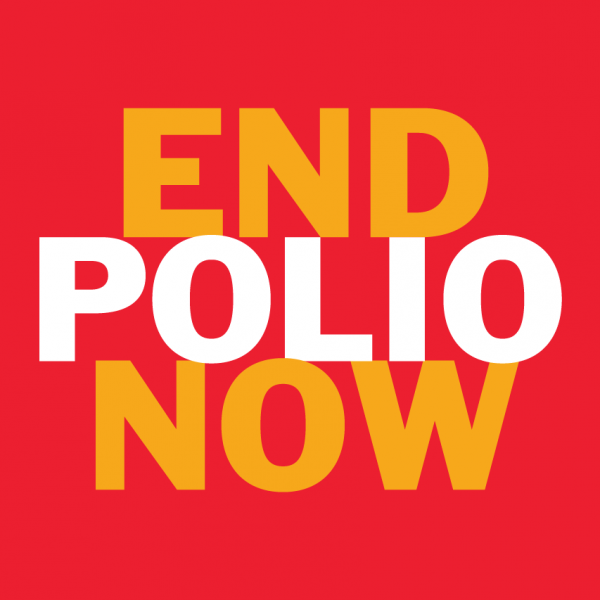 Rotary is the driving force behind the near eradication of Polio. When we started the annual number of global cases exceeded 350,000, last year there were less than 30. 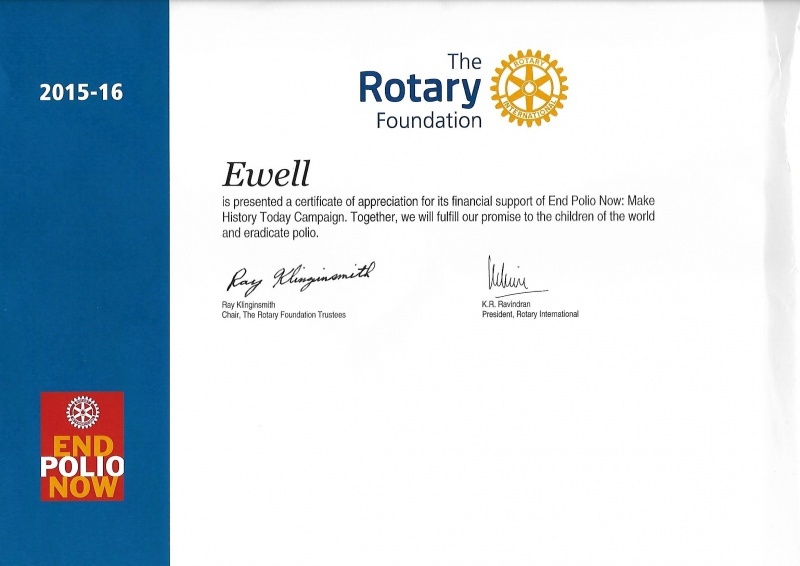 The Rotary Club of Ewell has received recognition for our own small part of this global endeavour. 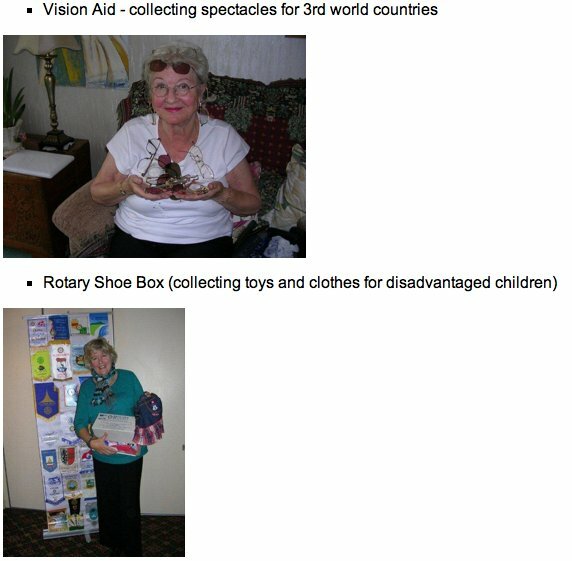 Rotary International sponsors WaterAid and therefore encourages each club to be involved. Ewell Rotary Club is lucky to have two members who have been recognised by Prince Charles for their work for WaterAid. Tom and Primrose Drake, members of the Rotary Club of Ewell, were honoured by HRH Prince of Wales, President of WaterAid, with the Award for Outstanding Voluntary Contribution in recognition of their dedication in fund-raising and campaigning for WaterAid over 15 years, during which over 250 conferences and meetings have been addressed and 200,000 raised, saving or improving the lives of over 14,000 people in Africa and Asia. Four years ago, the couple were invited by WaterAid, as paying guests, to experience first-hand, the difficulties of sanitation and safe water in Mali, West Africa. This proved to be a life-changing experience and since their visit have created awareness by talking to schools, faith groups, Womens Institutes, Rotary clubs and other organisations about the work of WaterAid, raised 60,000 which has enabled over 4000 people in Mali, one of the worlds poorest countries, to benefit from safe water, sanitation and hygiene education. WaterAid (wateraid.org) over the last 30 years have provided safe water to over 15 million people and improved sanitation to 11 million people and now operates in 28 countries. Past R.I. President John Kenny, was initially responsible for building the relationship between WaterAid and Rotary International, following his visit to Tanzania in 1993. To date, Rotary Clubs within R.I.B.I. have contributed nearly 3 million, helping over 200,000 people with safe water and sanitation. Tom has been a member of the Rotary Club of Ewell for 35 years and is the club's longest-serving member; he has served as President (twice), R.I. Water Resource Group Co-ordinator (District & Zone), Assistant Governor, a founder member of WASRAG (wasrag.org) and a Paul Harris Fellow. Both he and Primrose have worked and continue to work tirelessly in creating awareness of the problems of the lack of safe water and sanitation in sub-Saharan Africa and Asia. New floor supplied and fitted to the kitchen in August 2011. 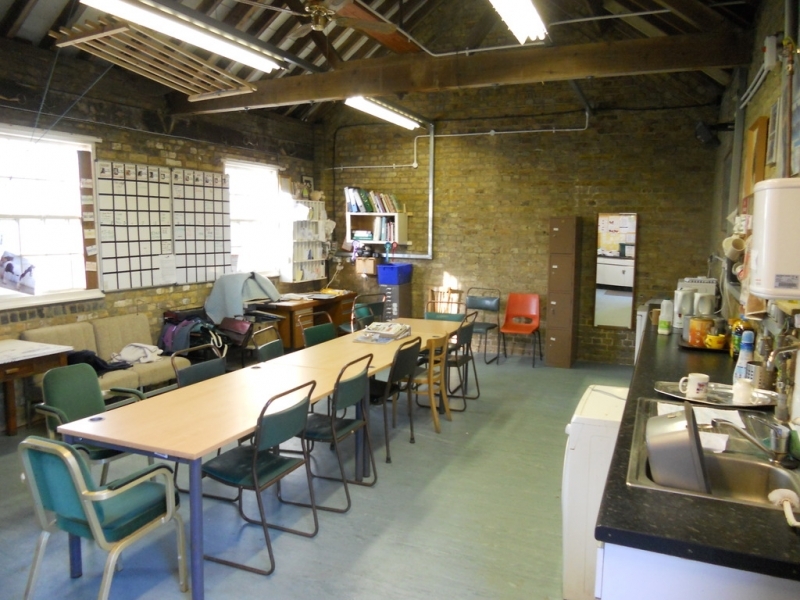 The work was carried out by The Epsom Carpet Centre who kindly donated the waterproof membrane (value 400). This was not quoted for but was found to be necessary once work had started. A hands on charity registered in the UK and India (UK Registration 1113691) who have built and own their own Boys Home, Girls Home and Tuition Centre for over 100 children in Mavelikara, North Kerala where they work closely with the local churches and communities. They also have a training and development link with the main Regional Cancer Centre in Kerala where they supply, equip and fund 2 ambulances to run clinics and to take palliative care to cancer patients who are too poor or weak to reach hospital. In Madurai, Tamil Nadu they have a residential care home for elderly street ladies, and also run a lunch and care unit in a slum which cares for over 50 elders daily. In the same slum we have a tuition and care centre attended by 150 children. They are in the process of purchasing land (registered in the name of the Trust) to develop a permanent residential care complex for our elders, and will sustain this project with a small farm unit nearby. They also care for 19 people in a nearby leprosy compound. In the slum and surrounding areas they regularly run medical clinics and have a particular concern for eye health, completing over 70 cataract operations for street elders. The work has developed since 1990, the staff and registered volunteers (many of whom grew up on our projects) are committed to caring for the poorest.